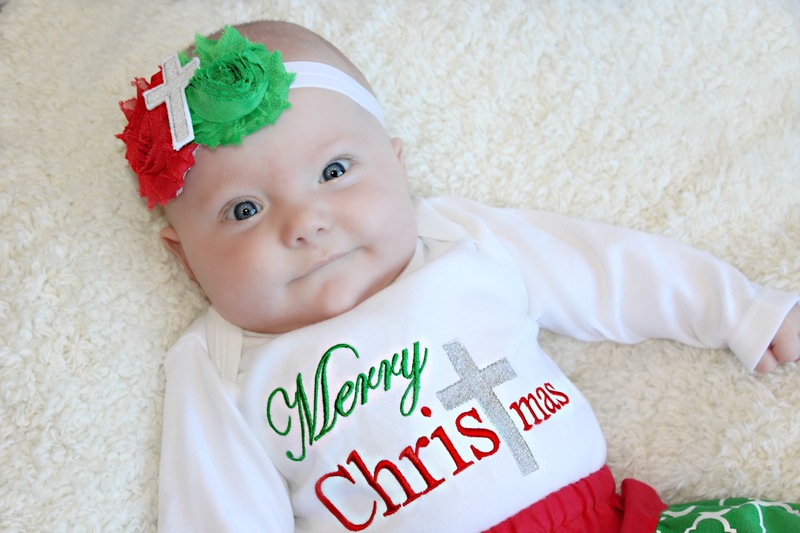 Christmas Long Sleeve Bodysuit or shirt Embroidered with Merry Christmas. The T is replaced with a cross. Keeping with the true meaning of Christmas. 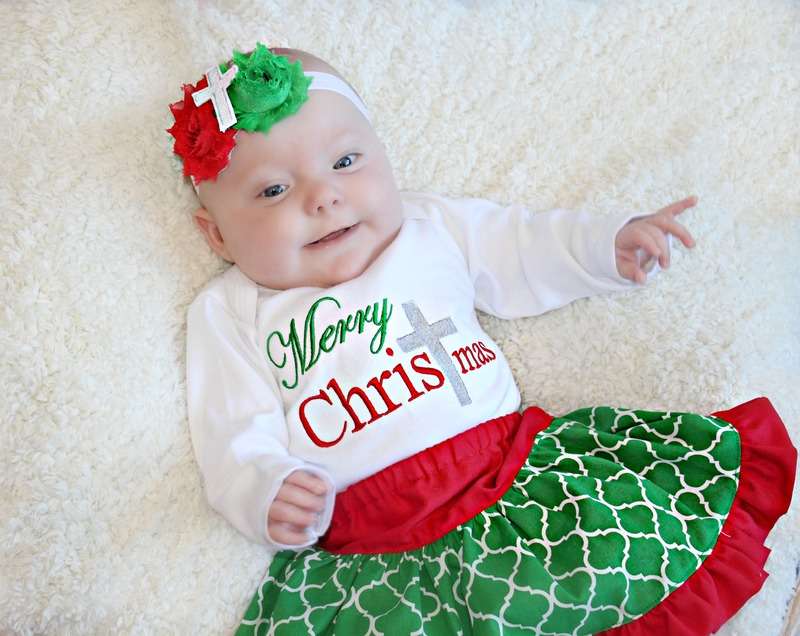 Celebrate Christmas in this adorable bodysuit with options for skirt and headband. You may choose the bodysuit only, bodysuit and headband, bodysuit and skirt or the complete outfit. 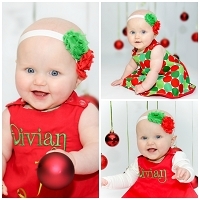 Makes a great gift and photo prop for those Christmas pictures.